New Horizons is getting closer to Pluto. Close enough so that we can see some surface features. Just take a look. From these images, NASA’s put together an animated GIF of Pluto and Charon, and this view is only going to get better. It appears there may be a polar cap on Pluto. Just over two months to go until some amazing pictures of Pluto and its moons. You see, I accidentally left my iPhone’s screen on, and I made a pocket video. It recorded everything from my pocket. So, after hearing what’s on the video, you may be wondering why I posted it. I’d like to challenge you to do something. How would you write the sounds heard in the video in a scene? There’s more than just the walking sound, so listen closely. Write a brief scene in the comments that incorporates those sounds. Or just write a sentence or two that describes those sounds as they would appear in a book. I look forward to reading the descriptions. The letter X! Surprisingly, this was not the most difficult letter of the alphabet to use for the A to Z Challenge. That honour goes to the letter Y. Before you begin reading this part of the story, I just want to remind you of the calendar system used on Ariadne. There are twelve standard months of twenty-nine days each. But at the beginning of the year, there’s a Celebration month that is three days long, unless it’s a leap year. Then it’s four days long. The leap year comes every ten years. You can read all about it here. Twelve thousand people stood before him. Konrad Fleischer occupied the stage with the Governor of the Ariadne colony, Paolo Fernandes. He had never been at such a large event. Half of New Athens must have been there. It was the first day of the new year, the tenth anniversary of landing at this site. This very site, now called Landing Square. This was also the first leap year. The Celebration month this year was four days long. He expected a big party. But here he was, standing on stage with the most famous man on the planet ready to play the xylophone. Konrad looked around at the audience. Many familiar faces. He noticed that the Governor had been speaking, but had no idea what he was saying. He forced himself to pay attention. The young girl, wearing a green dress and her long brown hair tied back in a ponytail, climbed the steps to the stage. She must have been around nine years old, if Konrad’s math was correct. 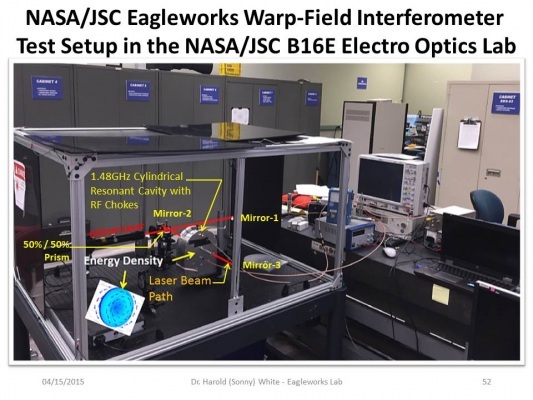 She was the first to display the magical ability of energy control. It wasn’t really magic, but everyone kept calling it that. Some form of telekinesis, or something like that. He didn’t know the terms. He was a musician, not a scientist. Such poise and confidence, Konrad mused. She was a celebrity, and she knew it. “Let me show you a little of what I can do,” she said. Konrad readied his mallets. He struck the fiberglass bars, beginning his own composition, Ariadne Landing Movement Number One. Then he heard the gasp of the audience. He smiled as he saw the fire above Solona form into a dragon. 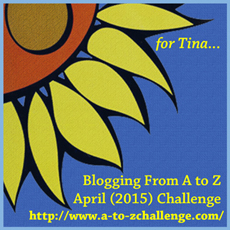 We now enter the final four days of the A to Z Challenge! It was actually rather difficult to choose the jobs for the final four letters, except for Z. I’ve known what Z would be for quite a while. X is tomorrow, and I had a tough time with that one. Y still hasn’t been chosen. But here is W.
“Sal, I’m going on break,” said Kaoru Hara as she walked through the kitchen and back to the staff room. Kaoru grabbed a tablet from her bag and checked her messages. Two messages. That’s odd, a message from the school. She tapped on the call icon and watched the small waveform animation. A face appeared on screen. Margaret Sanderson. “Mrs. Hara? I’m so glad you called,” she said. “Is there something you wanted to talk to me about?” asked Kaoru. “Of course, I’ll be there in a few minutes,” said Kaoru. She turned off the tablet and ran to the kitchen. “Sorry, Sal. I need to go to Chisa’s school. Something happened.” She pulled off her apron. Kaoru dashed to the break room and grabbed her bag. Why does this have to happen to my kid?